There really are two main things that I love about Tapas. Number one; I love that when you go out for tapas, you don't have to sit there and think about just one thing that you want from the menu. That to me is far too much thought for one outing. Sometimes, the whole concept of choosing just one meal is so much of a brain overload, I skim the menu, choose a couple of things that sound good, then don't actually decide until the moment the waiter asks me. I just wait to see what will come out of my mouth. So yes, tapas is a great option for someone like me. Number two; the conversation over tapas. There is something about sitting around a table with a group of friends, and every ten minutes or so being delivered another unbelievable dish. Every dish is a new talking point, and I love this. Especially if you've had the dreariest of weeks, and you're hard pressed for a conversation starter. So there's two good enough reasons to try Gyspy Tapas House in Fremantle. And let me tell you, they will provide you with so many more. Of all the tapas I've tried in Perth, this is by far the best. It's unknown to many because of its secret little location, but I can only hope that after this piece of writing, more people will give it a try and tell their friends. Gypsy Tapas opened in 2006 as a place for locals to eat some good food and relax. Not long after, they added their famous atmospheric live music and that really got people talking. I was first introduced to this place a few years ago, and I was more than impressed. 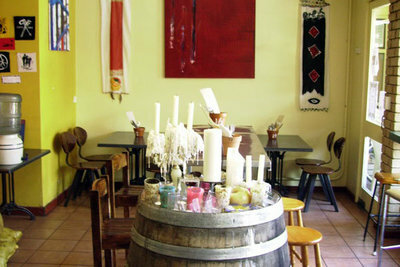 It may be a little venue, but it boasts such heart, warmth and really great food. All bites are $8 or you can choose a banquet for $40 a head. Just some of the delicious eats on the menu include, calamari and prawn cocktail, duck ravioli with pear puree, meatballs stuffed with bocconcini, sesame asparagus or grilled mango salad - and that's just to name a few. Moving on to the dessert, which are mostly $8 also, you can choose from an upside down pineapple cake with rum syrup, olive oil and almond cake with stone fruit or your regular and always delectable chocolate mousse. And without a doubt, do not forget the sangria. It's another great point of tapas and is available in a jug or glass. Jug please. With variety and quaintness on their side, not forgetting the friendly staff and colourful decor, you're sure to enjoy a meal at this joint. The feel is iconically 'Freo', so there really is no better spot for this gem of a place. 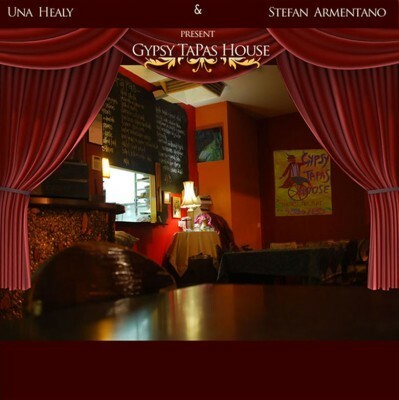 Gypsy Tapas House is open Wednesday, 6pm till 11pm, then Thursday to Saturday from 11am to 11pm. 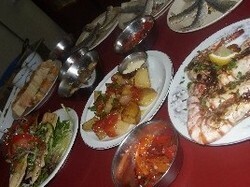 There are two sittings each evening, one at 6:30pm and one at 8:30pm, and bookings are recommended. You can give them a call on 9336 7135. And you really, really should.